Jowan Allies: Duke Location: Kitchen He looks up a Duke’s words, surprised. As many times as he tells him, it can’t seem to stick in his head that Duke, for some reason, seems to want to be around him. Seems to care about him. Maybe it’s because he doesn’t know or understand what Jowan’s done. The blood magic, yes, but nothing else. Still, even if Duke’s wrong to think so, Jowan can’t help but feel… complimented. Warm, in a way that has nothing to do with the hot mug in his hands. A bit of the weight comes off his shoulders at the knowledge that Duke isn’t upset with him, that the touch hadn’t been unwelcomed. “But I saw what happened. How horrified you looked at Kelsier. You’re my friend first and foremost, and I would never wish anything that makes you uncomfortable happen.” He thought -- ? Duke finishes, and Jowan is finally given a chance to explain. Maker, but they had a lot to explain to each other. “That wasn’t your fault,” he says. “Kelsier, he -- I wasn’t expecting it, but he said it would, um, intensify emotions that were already there. So it, well, was true. I’m sorry, I didn’t mean for you to think it wasn’t. You have very nice eyes,” he finishes, a little too quickly, scared that he won’t be able to say the words if he doesn’t get them out quickly enough. Somewhat worried that his blushing face will catch fire if he doesn’t change the subject, he continues. “I just… couldn’t stay around him. Playing with emotions. How can you trust someone like that?” How can you trust a blood mage? It's too uncomfortable of a look in the mirror. He readjusts his grip around his mug and lets out a quiet chuckle. “I overreacted, didn’t I. He was just trying to show me how it worked. He wouldn’t do that, right?” Another stupid mistake, but if Kelsier did mess with him again, more subtly, would he be able to tell? What if he’d been lying about how his powers worked all along? What is your current bad luck. A nice person keeps offering me exactly what I want on my trades; a 2nd gen prizekin from male bronze shimmer. Unfortunately, I already have a sibling and have to decline their offers 😞 This has happened to me quite a few times with prizekins. And I hate it when I PM someone and they just stop replying to my PMs. Not even a 'no thanks, I'm not interested' or an 'I decided to trade the egg to someone else'. And yet they're always still active on the forums, posting and all. I love kin and siyats. Thank you Edit: leaving this tinsel here. Took it from this thread but decided I don’t want it. Please be nice to it. Claim my eggs/hatchlings! https://dragcave.net/teleport/0f41271a9733b686828b21f6a5e785e7 A reply here would be nice. Sorey - 3rd Floor Library [trial and error] - [keyboard mashing] - [mikleo - 1, sorey - 0] "Theo no!" Sorey shouted around the same time as Scarlet. Running it through with a spear would all but destroy it, and their only chance of figuring this out. The angel had restrained Theo, but Sorey's heart still thumped in his chest. That was a close call! "Com-poo-ters?" Sorey repeated when Arch asked. "I don't think we have them either. Even in the ancient records, there isn't any mention of anything that looks like this. Sorry, this is new to me, too." Despite admitting that, he stepped in beside Towa to examine the device. The object was fascinating -- it was a box that displayed a bunch of words, as if by magic, and part of it blinked, too! Under the big box were the smaller boxes that Theo threatened to run through with his spear, and beside it were a tablet full of buttons and a round object with a central button. Drawing upon all the experience from solving the puzzles in ancient temples, Sorey began pressing buttons on the pad at random to see if they did anything. All of these objects were linked to each other, it seemed, so anything that would change in one would inevitably change the others. He couldn't quite decipher the symbols on the switches yet, however... "Hm..." The 'computer' had similarly piqued an interest in Mikleo, who had approached and slid up to Towa's other side. He put a hand on the smallest device of the set -- noting that it fit right into his palm, which was probably no coincidence -- to operate the buttons on it, and in brushing it he had moved it. Seeing a small arrow appearing on the illuminated part of the big box, Sorey immediately looked at the seraph, figuring that he was the most likely culprit. "Wait, what did you do?" The computer's mouse moved even further, and the pointer responded the same way. Curiously, over the words, the pointer changed into a hand symbol. With some experimental clicking of the buttons, the computer's screen had changed to even more text which appeared to be about the titular XDRS. Thank you for using the XDRS Information Terminal, it began. "Sorey - 0, Mikleo - 4," the water seraph smirked. Sorey frowned at him. "Come on, at least start the count from the beginning now that we know we're on another world. That's one point in your favor." He lifted a finger to emphasize the count. One. Even though Towa probably could have told them how to use the computer if they'd waited a few more minutes for her to demonstrate, Sorey beamed at the sense of accomplishment he felt in figuring it out -- even if this time, Mikleo had beat him to the solution again. "Use the handheld thing," he grinned, addressing Arch and the man he was restraining, "and you can move the arrow and change what's written on the box! It's amazing!" I've just been eating broccoli raw these days. Entered by the way. < STATUS: Stable; Curious > < LOCATION: 3rd Floor Library > < AGENTS: Theo | Sorey | Cure Scarlet > < OTHER PARTICIPANTS: Mikleo | Lailah | Edna > “Ah, ah!” Arch chastised as Theo raised his arms over his head to smash the box. Arch quickly pulled Theo’s arms down and wrapped himself around Theo’s arms. He ducks one arm underneath Theo’s armpit, snaking it around Theo’s forearm while his other hand finds Theo’s. “You can’t go around smashing things that don’t belong to you,” Arch said casually, trying to ignore the chorus of “Theo, no!” behind him. Arch’s fingers intertwined with Theo’s, warm and slotted perfectly together as though that’s where they were meant to be. Arch subtly scooted closed towards Theo. He leaned in closer until he could feel Theo’s hot breath tickling his skin. “I think it might be better to see if anyone else knows how to operate the box before destroying it, don’t you?” Arch asked softly. He met Theo’s gaze, titling his head to the side ever so slightly. “Oh, you know how to use this machine, Miss Scarlet?” Arch asked as Towa approached from behind. He pulled himself away from Theo, allowing his fingertips to graze Theo’s arm before he lowered his arms down to the sides. “Excellent!” Arch exclaimed ecstatically. He took several steps backwards to give Towa the room she needed to use the machine. “I’m afraid we don’t have computers back in our world,” Arch explained, motioning between himself and Theo. “We won’t be much help in operating them, but I’m glad you know what you’re doing!” Arch’s face brightened as he was filled with a surge of admiration. Even as a self-proclaimed human expert—because who else would know humans better than an angel—he was always amazed by how resourceful they were. Even when he thought he knew everything about a subject a human would come along with an idea or perspective he had not considered. Seeing Towa so confidently approach the computer made him shiver from all the pride swelling in his chest. “Sorey,” Arch said turning to the other human. “Are you perchance acquainted with computers?” If one human knew about them then surely two humans could know about them. @Lantean_Pegasus Have you been checking your Junk/Spam folder? Sometimes the email filtering system doesn't always recognize the messages as unharmful or 'not spam'. 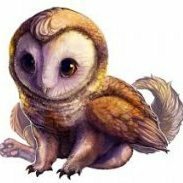 Gifting: Aria hatchling - Claim my eggs/hatchlings! Duotone hatchling - Claim my eggs/hatchlings! Hellfire Wyvern hatchling - Claim my eggs/hatchlings! Hooktalon hatchling - Claim my eggs/hatchlings! Ridgewing hatchling (purple) - Claim my eggs/hatchlings! Black Capped Teimarr hatchling - Claim my eggs/hatchlings! You may freeze. Took the above 4 + the 1 rejected from batch 1 Thanks so much! I love hatchies!